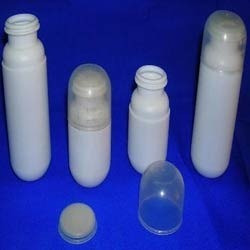 We are manufacturer and supplier of HDPE Jar. 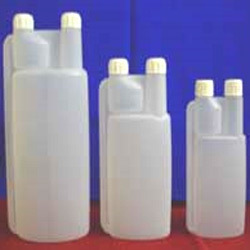 We have newly develope a 10 ltr food grade HDPE jar for filling water or any liquid substance. We are instrumental in offering a compendious range of Plastic Container- Tamaron Gold Shape. These containers are scrutinized by our quality auditors through out the production process in order toe ensure supply of an impeccable range of products to the clients. Our assortment is available with varied storage capacity of 250 gms, 500 gms, 1 Kg and 5Kg. 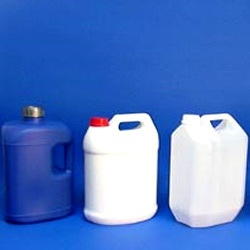 We introduce to our clients with a steadfast array of Plastic Container- 5 Ltr Range 4 Shapes. These containers are used to pack agro-chemicals and hence are manufactured using high quality raw material, which is non-reactive to these chemicals. This range of containers is available in four shapes and with 5 liter storage capacity. 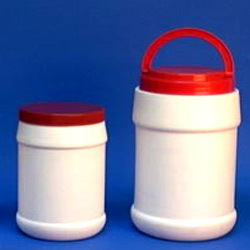 We offer our clients an extensive assortment of Twin Neck Containers, which is manufactured using supreme quality plastic material. As the name suggests, these containers have two necks and are also accessible in customized options. The containers offered by us are highly durable, light in weight and leakage-proof. These are available with various storage capacities like 250 ml, 500 ml and 1 liter. 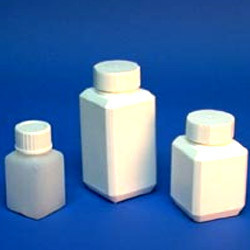 We are instrumental in catering to the variegated requirements of the customers by bringing forth a commendable assortment of Capsule Shape Containers. Our range is manufactured using superior grade components, which are sourced from the certified vendors of the market. Besides, we make sure that the range is in-line with the universally accepted norms and standards of quality. We bring forward to our valued clients a compendious range of Square Containers. These products are manufactured in accordance with the prevailing market requirements. Our range is offered with storage capacities of 30ml, 50ml and 100ml. The containers offered by us are highly durable, resistant to leakage and light in weight.